Hubris and arrogance have no limits for the California Institute of Regenerative Medicine — as I have often shown. But utter cluelessness? I don’t think you could more effectively dissuade the religious from supporting the CIRM’s work, than by awarding a first prize to this poem. CIRM recently announced two winners of the second annual poetry contest, one of which contained some religious language that is identical to liturgical language used in the context of Christian and Catholic sacraments. The language introduces a religious element that we now realize was offensive to some people. We are deeply sorry for any offense caused by the poem. Neither the author nor CIRM intended for the language to insult or offend any religious group. When CIRM recognized that the language was of concern we removed all four poems from the CIRM web site and from the Stem Cell Awareness Day web site. Okay. That raises a question: How could they not know it would offend those people mentioned? Those are the very words used by the priest or pastor during Communion. Good grief. So, what are we to make of awarding this a first prize? Was it an intentional slam on Christians, many of whom oppose ESCR, which the CIRM realized in retrospect would blow up in their faces? 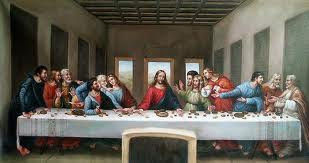 Or did they think the poem, by using the words of Jesus at the Last Supper, would somehow appeal to Christians? Or did they just think it was clever? Whatever it was the judges were thinking — they weren’t thinking. I notice they haven’t taken back the prize, just airbrushed the website, so this could lead to a very big stink.